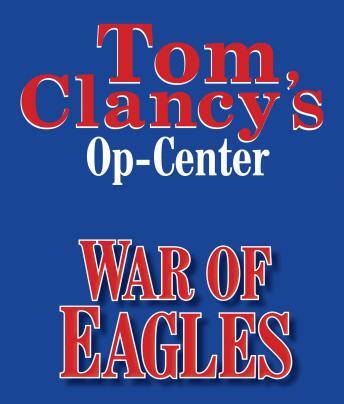 Listen to "Tom Clancy's Op-Center #12: War of Eagles" on your iOS and Android device. The explosion of a Chinese freighter–carrying illegal workers–in Charleston Harbor is the first sign that someone is capping Chinese interests abroad. After explosions in South Africa and Taipei, Op-Center roots out the cause: warring factions in the Chinese government. But still reeling from budget cuts and an almost devastating attack by an electromagnetic pulse explosion, Op-Center itself sustains a third hit: the removal of Commander Paul Hood, replaced by a three-star general from the Army. Op-Center is now under the control of the Pentagon. Hood's own future exists at the whim of the new President. And the world braces for more attacks….